How to Cite: Camilleri, M. A. (2018). Market Segmentation, Targeting and Positioning. In Travel Marketing, Tourism Economics and the Airline Product (Chapter 4, pp. 69-83). Springer, Cham, Switzerland. The advances in technology have enabled many businesses to reach their potential customers by using digital and mobile applications. Google, Facebook, Ebay and Amazon, among others are dominating digital marketing; and are pushing the entire field of advertising to new levels. The use of personal info, web-browsing, search history, geographic location, apps and eCommerce transactions have gone mainstream. For example, Google has begun using transaction records to prove that its ads are working, and are pushing people to make more online purchases. This allowed the technology giant to determine the effectiveness of its digital ad campaigns and to verify their conversion rates. All individuals leave a “digital trail” of data as they move about in the virtual and physical worlds. This phenomenon is called, “data exhaust”. Initially, this term that was used to describe how Amazon.com has used predictive analytics as it suggested items to its customers. However, pre­dictive analytics cannot determine when and why individuals may decide to change their habitual behaviours, as the possibility of “one off” events must never be discounted. Yet, a firm with sufficient scarce resources could be in a position to exploit big data and analytics to improve its businesses operations. For instance, Deloitte Consulting have developed a mobile app that has enabled Delta Airlines’ executives to quickly query their operations. For instance, when users touch an airport on a map, the system brings up additional data at their disposal. Executives could also drill further down to obtain granular information on staffing requirements. and customer service levels, as they identify and predict problems in their airline operations. Nevertheless, business intelligence and predictive analytics could possibly raise a number of concerns. Many customers may be wary of giving their data to the businesses and their stakeholders. Very often, the technological advances anticipate legislation, and its deployment. These contingent issues could advance economic and privacy concerns that regulators will find themselves hard-pressed to ignore. Some academics argue that the digital market and its manipulation may be pushing the limits of consumer protection law. Evidently, society has built up a set of rules that are aimed to protect personal information. Another contentious issue is figuring out the value of data and its worth in monetary terms. In the past, companies could have struggled to determine the value of their business; including patents, trade secrets and other intellectual property. The mobile is an effective channel to reach out to many users. Portable devices, including smart phones and tablets are surely increasing the productivities and efficiencies of individuals as well as organisations. This has led to the growth of mobile applications (apps). As a result, the market for advertising on mobile is still escalating at a fast pace. Moreover, there are niche areas as new applications are being developed for many purposes on different mobile platforms. Recent advances in mobile communication and geo-positioning technologies have presented marketers with a new way how to target consumers. Location-targeted mobile advertising involves the provision of ad messages to mobile data subscribers. This digital technology allows marketers to deliver native ads and coupons that are customised to individual consumers’ tastes, geographic location and the time of day. Given the ubiquity of mobile devices, location-targeted mobile advertising are increasingly offering tremendous marketing benefits. In addition, many businesses are commonly utilising applications, including browser cookies that track consumers through their mobile devices, as they move out and about. Very often, when internet users leave the sites they visited, the products or services they viewed will be shown to them again in retargeted advertisements, across different websites. Several companies are using browsing session data combined with the consumers’ purchase history to deliver “suitable” items that consumers like. There are also tourism businesses who are personalising their offerings as they collect, classify and use large data volumes on the consumers’ behaviours. As more consumers carry smartphones with them, they may be easily targeted with compelling offers that instantaneously pop-up on their mobile screens. Furthermore, consumers are continuously using social networks which are indicating their geo-location, as they use mobile apps. This same data can be used to identify where people tend to gather. This information is valuable to brands as they seek to improve their consumer engagement and marketing efforts. Therefore, businesses are using mobile devices and networks to capture important consumer data. For instance, smart phones and tablets interact with networks and convey information on their users’ digital behaviours and physical movements to network providers and ISPs. These devices have become interactive through the proliferation of technologies, including; near-field communication (NFC). Basically, embedded chips in the customers’ mobile phones are exchanging data with the retailers’ items possessing such NFC tags. The latest iPhone, Android and Microsoft smartphones have already incorporated NFC ca­pabilities. The growth of such data-driven, digital technologies is surely adding value to the customer-centric marketing. The latest developments in analytics are enabling businesses to provide a deeper personalisation of content as they use socio-demographic and geo-data that new mobile technologies are capable of gathering. For example, mobile service companies are partnering with local cinemas, in response to the location-targeted mobile advertising; as cinema-goers may inquire about movie information, and could book tickets, and select their seats through their mobile app. These consumers who are physically situated within a given geographic proximity of the participating cinemas may receive location-targeted mobile ads. The cinemas’ ads will inform prospects what movies they are playing and could explain how to purchase tickets through their smart phone. The consumers may also call the cinemas’ hotlines to get more information from a customer service representative. Besides location-targeted advertising, the mobile companies can also promote movie ticket sales via mobile ads that are targeted to individuals, according to their behaviour (not by location). Therefore, companies may direct their mobile-ad messages to those consumers who had previously responded to previous mobile ads (and to others who had already purchased movie tickets, in the past months). Moreover, the cinema companies can also promote movies via Facebook Messenger Ads if they logged in the companies’ websites, via their Facebook account. Mobile users may also receive instant message ads via pop-up windows whenever they log into the corporate site of their service provider. It is envisaged that such data points will only increase in the foreseeable future, as the multi-billion dollar advertising monopolies are being built on big data and analytics that are helping businesses personalise immersive ads as they target individual customers. The use of credit card transactions is also complementing geo-targeting and Google Maps, with ads; as the physical purchases are increasingly demanding personalisation, fulfillment and convenience. There may be consumers and employees alike who out of their own volition, are willing to give up their data for value. Therefore, the businesses need to reassure them through concise disclosures on how they will use personal data. They should clarify the purpose of maintaining their consumer data, as they are expected to provide simple user controls to opt in and out of different levels of data sharing. This way, they could establish a trust-worthy relationship with customers and prospects. Companies are already personalising their shopping experience based on the user situation and history. 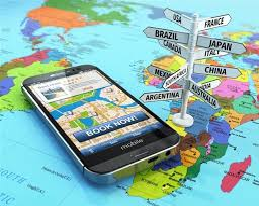 Tomorrow’s tourism businesses are expected to customise the user experiences of their mobile applications and web interfaces, according to the specific needs of each segment. Big data and analytics capabilities are increasingly allowing businesses to fully leverage their rich data from a range of new digital touchpoints and to turn them into high impact interactions. Those businesses that are able to reorient their marketing and product-development efforts around digital customer segments and behaviours will be in a position to tap into the hyper-growth that mobile, social media and the wearables markets are currently experiencing. Tourism and Technology: What the future holds for travel distribution? The development of digital media technologies, particularly the internet and social media are offering a wide range of possibilities to the travel industry. These latest technological advances have enabled many travel businesses, including airlines and hotels to manage their distribution channels in a more efficient and economical way. With the changing landscape of travel e-commerce and the ubiquity of IT solutions which gather, store, and analyse data in a variety of ways; airlines have improved their ability to monitor their performance across channels. Very often, they are in a position to quickly adjust offers. Their prices are usually based on a variety of situations and circumstances, as they optimise communications and transactions. By using big data and analytics on their customer behaviours, many travel businesses are taking advantage of channel-based distribution. Hence, the distribution networks have come a long way from the ticket counter. Evidently, travel and tourism businesses are leveraging themselves with data-driven marketing, as they seek new customers and prospects. For example, they may increase their profitability from high-yield customers as they are using elaborated pricing and revenue management systems. The travel distribution is evolving from its current passive, rigid, and technology-centric state to a more flexible, dynamic, and passenger-centric environment which we call ‘Active Distribution’. Any changes in the tourism distributive systems may be stimulated by external macro factors such as politics and trade, global and national economies, technological innovations and access to them, et cetera. The airline industry could also be effected by increased competition from low-cost carriers, merger and acquisitions, and fuel costs, among other issues. However, the commercial future of the tourism industry may also be influenced by other factors, including travel distribution. Tourism businesses can possibly become even more effective in how they sell their products and services, particularly if they deliver positive customer experiences. Tourists perceive value in customer-centric businesses. Most probably, in future, there will be significant improvements in terms of technologically enhanced customer services. Tomorrow’s businesses will be serving passengers from geographically-diverse regions. There will be more travellers from emerging markets and developing economies. The travel distribution systems will have to cater for senior citizens, as there are aging populations in many countries. The distributive channels must be designed to accommodate a divergent nature of users. Tourism service providers and their intermediaries have to provide engaging, intuitive shopping experiences that tap into the traveller’s discretionary purchases. The businesses will need to embrace new technologies and flexible distribution processes, as outmoded distribution components will be replaced. It is envisaged that the distributive systems will be increasingly relying on mobile devices as these technologies enable consumer interaction with speech and voice recognition software. The tourism businesses will leverage themselves with artificial intelligence which could facilitate dynamic pricing as well as personalisation of services. The distributive systems could interface with virtual reality software to help businesses merchandise their products in captivating customer experiences. The third-party retailers will continue to form part of the distribution mix. However, many service providers will be using their direct channels to reach their targeted customers. There will probably be fewer market intermediaries and online travel agencies will see significant declines. It is very likely, that airlines will not have to pre-file volumes of defined fares through third-parties as they may not rely on inventory buckets to manage their selling capacity. The airlines must recognise the need to invest in new internal selling systems. Today’s passenger service systems lack the flexibility that airlines require. They are not adequate enough to serve the airlines’ flexible and dynamic sales environments. These systems could be replaced with modular retailing platforms. Full Retailing Platforms (FRPs) will allows airlines to take back the control they require to be better retailers through any distribution channel (IATA, 2016). However, Google, the multinational technology company, could be playing a much larger role in travel distribution. The technology giant could participate in, and possibly disrupt the tourism industry if it becomes an online travel agency. whether through acquisition or by launching a product of its own. In fact, its travel product, Google Flights is increasing in popularity among travellers. Moreover, there have been recent developments in online payment facilities. Undoubtedly, there will further improvements in this area, as well. Payment providers like M-Pesa, Alipay, and PayPal will probably become more important. In the foreseeable future, the travel marketplace will surely introduce new technologies and capabilities as multiple venture capital firms are increasingly investing in disruptive innovation. There may be new businesses which could penetrate the market, including private air service operators who could provide “on-demand” airline services; alternatively, technology companies could develop or acquire their meta-search engines or online travel agencies. Undoubtedly, the travel and tourism businesses need to find ways that intentionally overturn decades of outdated, distribution practices. The distribution community can choose to innovate and disrupt, or allow others to be leading innovators.